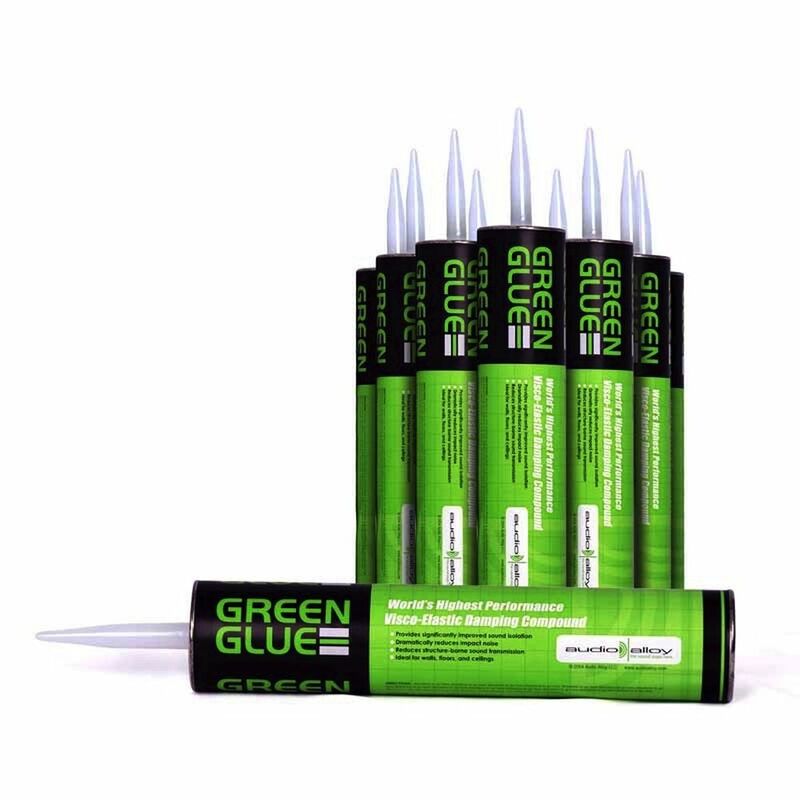 The Case of 12 Tubes of Green Glue Noiseproofing Compound will cover an area of 192 Square Feet and is 1 Hour Fire Rated. 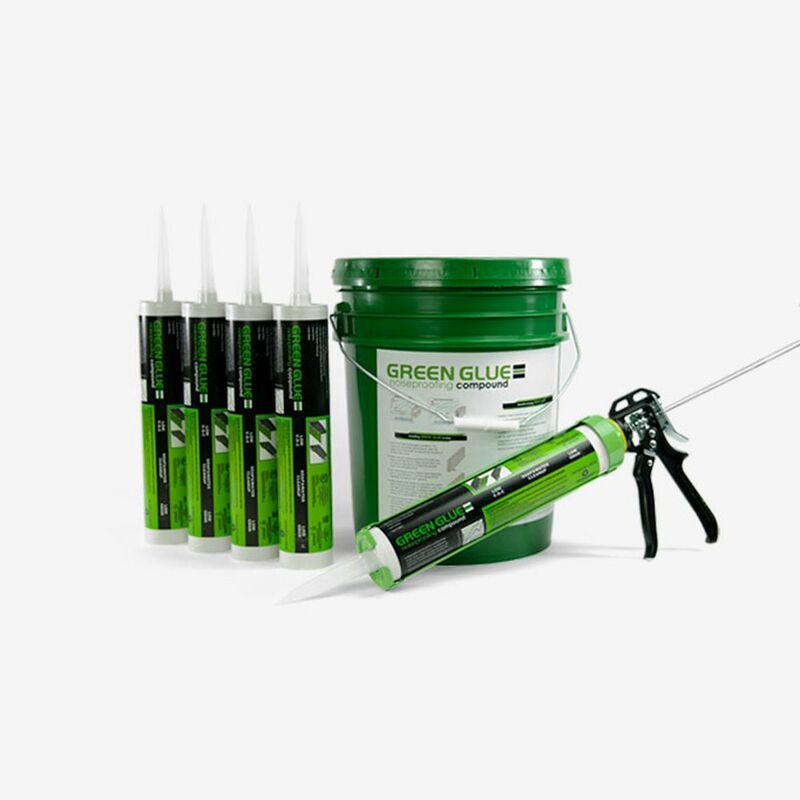 DRYWALL - You may use factory-damped drywall, but you can save yourself the extra expense by simply using extra layers of standard drywall with Green Glue Noiseproofing Compound. WOOD PRODUCTS - Medium-density fiberboard (MDF), Oriented strand board (OSB) and plywood for applications like floors, soffits, seating risers in home theaters, stages, loudspeaker cabinets, and others. INSULATION - common building fiberglass (yes, the fluffy pink stuff) works just as well or even better than pricier insulation materials. SOUNDBOARD - we recommend using as an underlayment for flooring rather than for walls and ceilings because soundboard lacks the mass required for effective damping. SHREDDED RUBBER UNDERLAYMENTS - the heavier and thicker, the better. 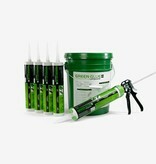 Use compound on a solid surface and not on mesh or open-web underlayments. STEEL STUD WALLS - Green Glue Noiseproofing Compound also performs outstandingly with steel stud walls. For details and information about specific wall types, click here.